A trophy usually made of metal or silver material. Designed in some shapes for the winner of a champion. Ordinary trophy make us bored with its design. Because of that reason, we try to create unusual trophy in special form. We present you a trophy that designed in soccer ball form. 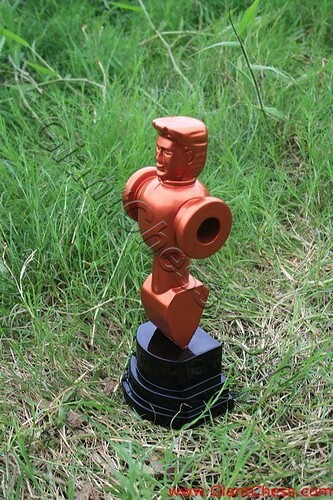 This design is one of our custom trophy product. We also invite you to make your own design for a trophy, so you can use it as house decoration. You can use these items as common trophy in competition or for a giveaway for friends. These products are made of durable teak wood and beautifully crafted.